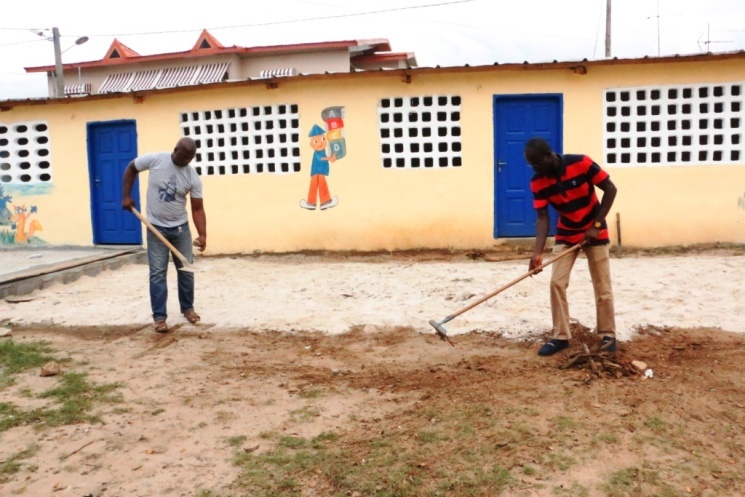 By FFWPU COTE D’IVOIRE: FFWPU in Cote d’Ivoire started the construction of their first school on July 2015. 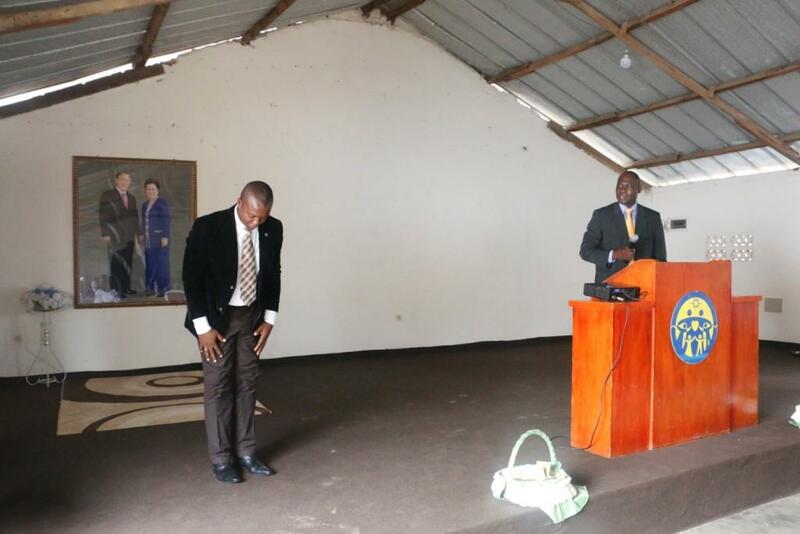 On November 2, 2015, “Family School” was inaugurated during the national Sunday service with Regional President Rev. Dr. Dong Ho Cho. 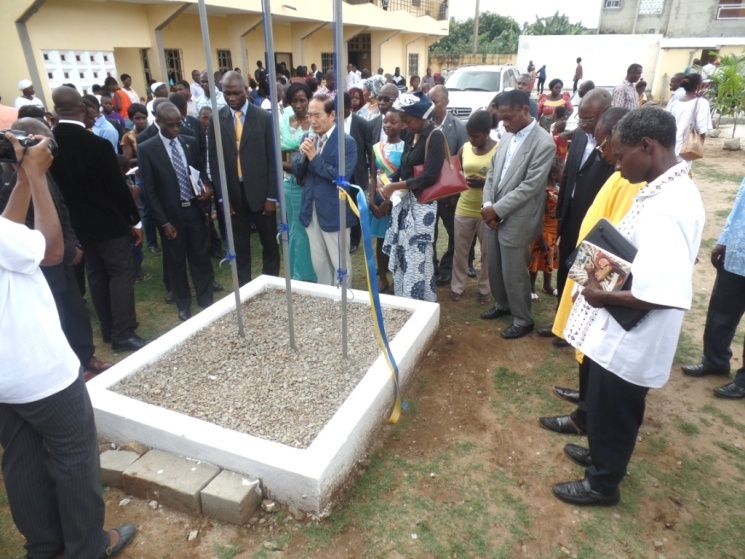 Nearly 200 members attended that historic event at Family School that is located at the National FFWPU HQ in Yopougon, Abidjan. 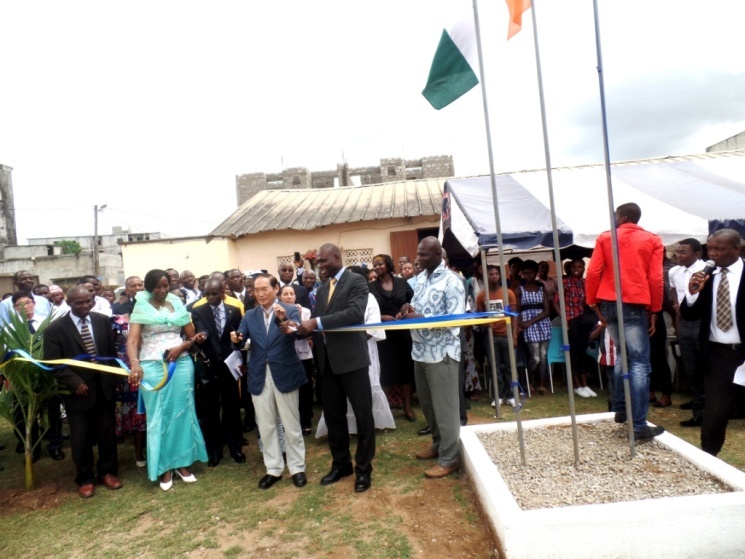 At the beginning of the ceremony, the members sang the national anthem of Cote d’Ivoire to hoist the flag of the nation, and the Cheon Il Guk anthem to hoist the flag of FFWPU and the one of Family School. Then, Regional President Rev. 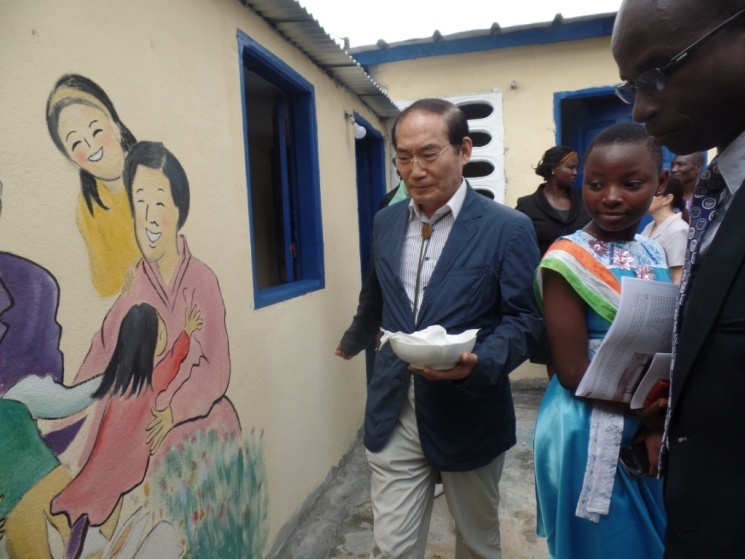 Dr. Dong Ho Cho along with his Assistant Mrs Catarine Brou and National Leader Rev. Philbert Seka cut the ribbon. Regional President sanctified the entire building the school and offered a benediction. Rev. Dr. Cho and all the members gathered that day were very happy for the victory of Family School inauguration. The President of the UPF Peace Council of Sud-Comoé district Mrs Dago and the Vice-president of the Parliament of Children were the special guests. During the national Sunday service on September 27, 2015, the members were mobilized and donated 3,313,500 XOF (around 6,000 USD). This donation helped finishing the construction of the school for the D-day. Since Monday, November 9, 2015, the classes started at Family School. For this first academic year, Family School has started with four different grades: grade 1 and 2 in kindergarten and grade 1 and 2 in primary school. The slogan of Family School is “We raise global leaders”. Therefore, Family School is a great witnessing tool. 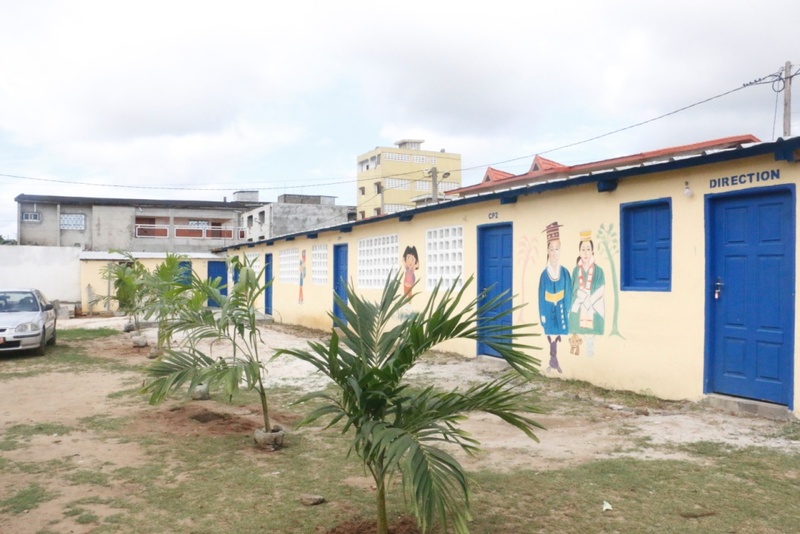 Some external families living around Family School chose to enroll their children there because they think Family Federation for World Peace and Unification can provide good education to them. 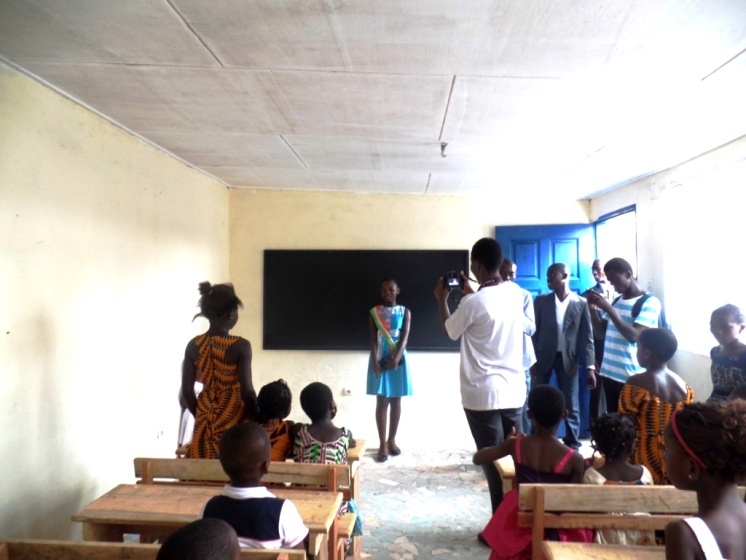 Family School in Abidjan is the first school of a series of school projects that will be constructed to accompany the Tribal Messiahship and Vision 2020 throughout the nation.